You are currently browsing articles tagged eleganza. I have to echo my fellow bloggers when I say that last week/weekend was surreal, crazy, scary, humbling, and a million other adjectives that cannot really explain how it felt to be so close to some pretty unimaginable events. If you’ve been following the news, you’re probably fully aware of the main events and the indelible impression they’ve left upon Boston. In light of all of the tragic events, however, one thing I will say that my fellow bloggers have either mentioned or alluded to in their posts is that I am so grateful to be a member of the Harvard community. Throughout the entire week there was always a friendly face in the hallways of Widener, an extra hug in the dining halls, or a House Master or entryway tutor available to talk. In a time where the world seemed to make very little sense, Harvard was a place of comfort, refuge, friendship, and family – for that I am truly grateful. On a lighter note, there were a few fun things going on last week that I’ve been eager to share with you all. The Charles Eliot dinner was on Thursday last week. The Charles Eliot dinner is a meal that takes place in Eliot House each year, celebrating the House’s namesake. The food was delicious and we ate in good company. At the end of dinner a few student residents of Eliot House stood up at the podium to talk about what makes the house special to them. I could definitely relate! 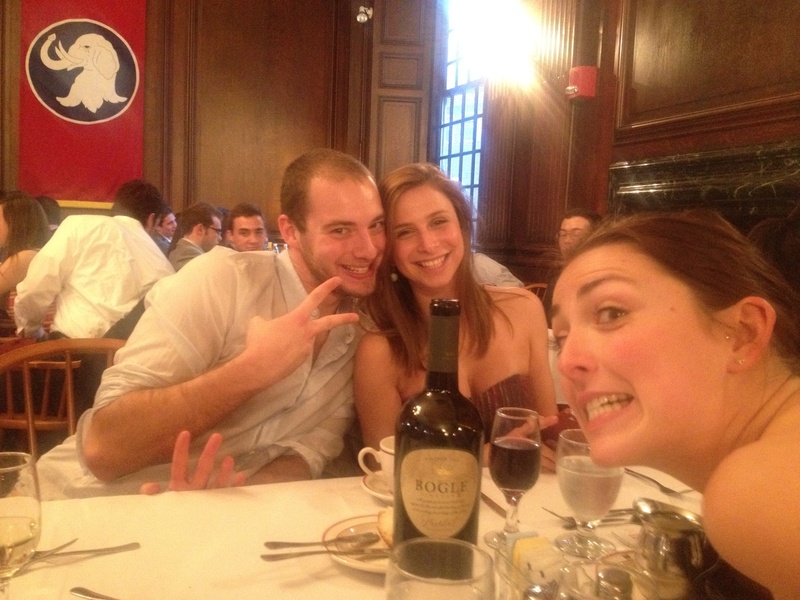 I went to the Charles Eliot Dinner with my roommates – as you can see we had a great time! 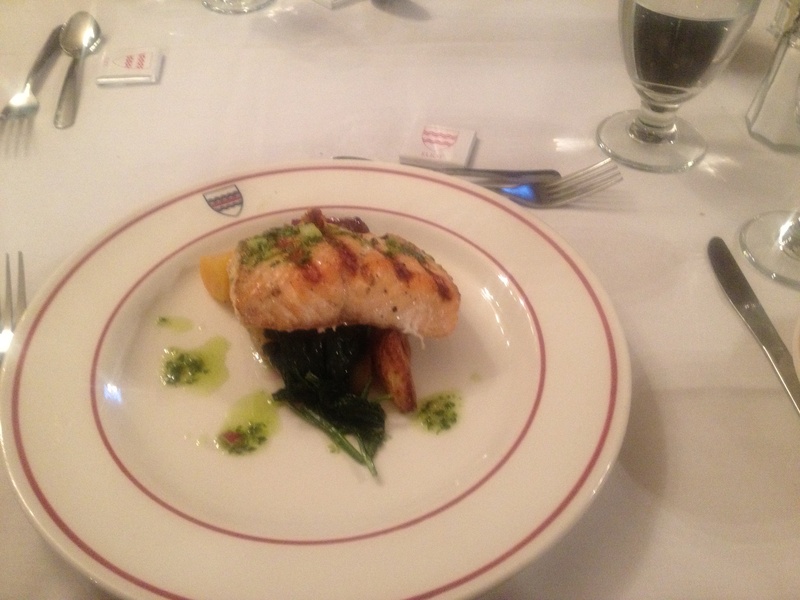 The second course of the night was this mouthwatering salmon – Yum! Residents of Eliot House turned up in style to celebrate Charles Eliot. Another event I got to attend this week was Eleganza. Eleganza is the annual fashion show put on by Harvard students. Tickets are sold to all undergraduates and the proceeds go to the Center for Teen Empowerment – an organization that strives to “empower youth and adults as agents of individual, institutional, and social change.” The fashion show featured clothes by many designers, as well as themed costumes, and stylized dance numbers. With gift bags and VIP seating, the event truly felt like a celebrity-filled night at New York Fashion week. I can’t wait to see what they roll out next year! This long and intricate runway was set up for the models to strut their stuff! If I could pick a birthday month, it would be April! What other month kicks off by celebrating tons of pointless jokes?? If we look beyond the infamous April Showers, I’ll personally confirm that we don’t have to wait until May for flowers – especially at Harvard. April is essentially the last month of school for students since May consists of Reading Period (a week where classes stop existing so we can study, study, study for the upcoming week of finals) and Exam Week. Therefore, it’s absolutely crucial that we celebrate the end of another AWESOME academic year as an undergraduate. For the most part, people can safely assume that Harvard supports students academically as well as financially, but the institution also makes incredible strides to make our smiling muscles sore. 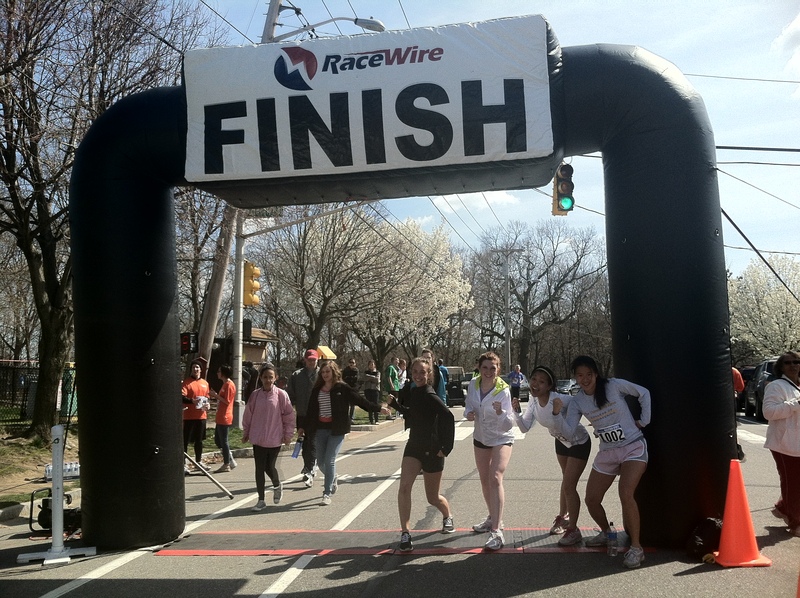 Speaking of sore muscles, Harvard On The Move, a new initiative, publicized as well as funded students to participate in the annual Cambridge City Run. Since the event took place on April 1st, I was hoping the 5 mile course would be a joke. Too bad they were actually serious. However, it was a perfectly breezy morning run around the nearby and scenic Fresh Pond. Action shot after the 5 mile run! Stress is a common theme among not only college students, but also humanity; so I always like to applaud Harvard for providing its students with healthy and effective outlets to counter the negative effects of perpetually compounding stress. Although my confession of love for the month of April is pretty serious, April is also the month that the last wave of midterms goes by just as soon as the new wave of final projects and papers begins. It’s an insanely hectic time of year and this can be manifested by my calendar which has reminders to remind my friends of tasks! Everyone has a different organizational method just like how everyone relieves stress via varying outlets. Let’s say exercising isn’t your thing, but Taylor Swift really pinpoints all your emotions and makes you feel alive. Committed and diligent students on CEB: College Events Board (just look at their link! The first word is ‘fun,’ and URLs don’t lie!) bring live music right to Harvard Yard for FREE. (As you’re reading this, you should feel like you just won free tickets to Coachella). On a Sunday in April, Yardfest happens and this year, it’ll be this Sunday April 15. As a sophomore, I’ve only been to Yardfest once and it will definitely stand in the top 25 moments of my life. (Last year, Yardfest was the same weekend as prefrosh/Visitas so the lucky class of 2015-ers basically get to go to Yardfest 5 times!!!! Jealous.) The event begins with BBQ and tire swings and lightens with live performers. My friends and I had so much fun at the concert last year that now, we’ll randomly yell “Yardfest!” at irrelevant times to convey the message that we’re having so much fun! If I haven’t successfully hyped up Yardfest yet, let me just say that I wasn’t even angry that my boots were ruined by mud. But if you’re the kind of person that would rather not risk your cute ankle boots, Harvard also has another event for you! 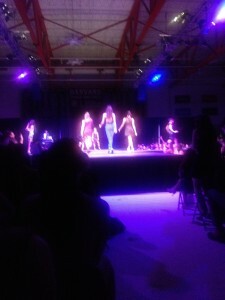 Eleganza is a fashion show put on by Harvard students for Harvard students, using Harvard students as models! I’ve never personally attended, but I only hear of great things – probably one of the reasons tickets sell out pretty quickly. The function also has a VIP section for student groups and these sections may cost a little bit more, but I’ve been told it’s worth it especially with the goodie bags you get! So much to do, so little time – at least this is a good problem to have..? Hello, again! First and foremost, CONGRATULATIONS TO ALL OF YOU WHO WERE ACCEPTED INTO THE HARVARD CLASS OF 2015!!! I still remember all too clearly the moment I received “The Most Wonderful Email in the Entire World,” and it’s a moment that you should never take for granted, even if Harvard isn’t your #1 choice. Take a moment, jump up and down, whoop and holler, and give yourself a giant pat on the back. But now that you’re in, you might be thinking to yourself, “Golly, what do I do now?” Well, I’ll tell you what you should do: COME VISIT HARVARD!!!! If you can’t work it out that you can stay in a student dorm (you should always contact the Admissions Office before you visit so that they can make it possible), definitely ask to tour one. If you have a friend, a friend of a friend, a friend of a parent’s friend who’s kid goes to Harvard, etc. DEFINTELY ask them if you can just take a peak into his/her room. If you can stay in a student’s room, look at another room. 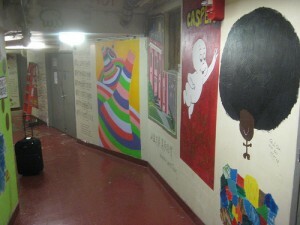 In total – check out as many rooms as possible, preferably freshman dorms. How can you expect to imagine yourself going here, if you can’t even imagine where you might sleep? 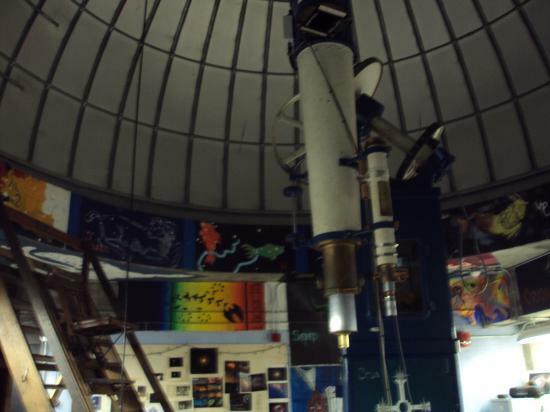 At the top of the Science Center there is a small observatory open to any Harvard student who has bothered to take a 45-minute instructional class. Find one of these students and ask him/her to take you up. It is honestly one of the coolest things on campus! Even if it’s a cloudy night, there is a balcony with a BEAUTIFUL view of Harvard with the Boston skyline in the background. As a freshman, this was definitely one of my biggest “Harvard moments” – where it finally sunk it that I attend this amazing school. Ok, so when I suggest this, people often look at my funny. Most students will tell you that the Widener Library stacks are creepy, only because they are SO VAST, and it’s easy to feel like you might venture forth, lose your way, and die without anyone ever finding you. But as a pre-frosh, my friends and I had the BEST time running around, making the automatic lights switch on and off, and trying to find the oldest book. It amazed all of us that Harvard would entrust its students with such valuable, old books and that it had so many of them! Going into Widener opened my eyes to the incredible opportunities that Harvard offered, and made me realize that as a prospective student, I could take full advantage of them. As the second-largest collection of secular stained glass in the world, Annenberg Dining Hall provides a very “Great Hall of Hogwarts” feel to freshman dining… not to mention that it is gorgeous. 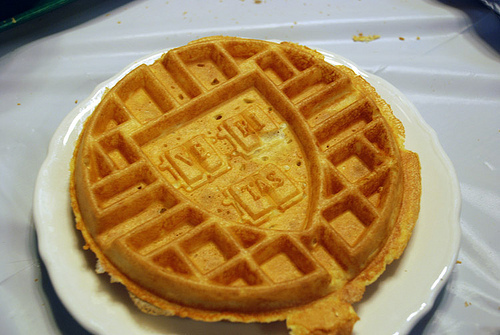 The food might not be the best on campus (though I will admit that by and large I think it is delicious), but the experience cannot be matched. Adams House is the closest upperclassman house to the Yard. 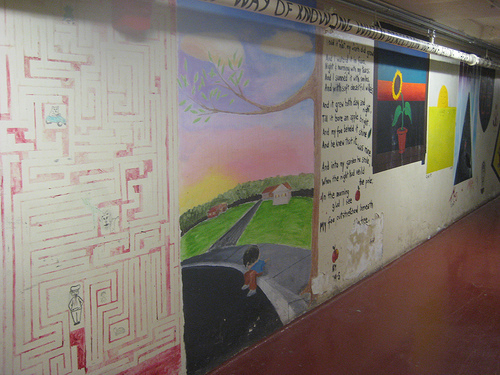 While the housing lottery is now completely random, it was not always that way, and as a result, Adams has a history of having once been the “artsy house.” This means that the tunnels under the house (yes, there are tunnels under all of the houses), are decorated with really awesome artwork that students have painted over the years! It is really cool and fun to check out! 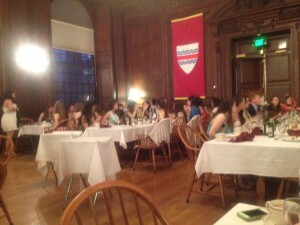 I like to tell people that Eleganza convinced me to go to Harvard. As a prefrosh, I was really worried that Harvard students would be ALL work, and no play. I am a social person, and the idea of attending a school where everyone sat behind a textbook all the time repulsed me. Eleganza turned all of my preconceptions upside-down. It is an AWESOME fashion/dance show that will feature just how much fun Harvard students can have. GO! Drag yourself to a class or two on a topic that interests you. Don’t just go off the list the Admissions Office gives you – ask current students what their favorite classes are. Do it, and then don’t base your decision off of it. I know that sounds like silly advice, because you are, after all, going to school to go to class. In my experience, however, when you’re a second-semester senior, and you’ve just been accepted into one of the best colleges in the world, its hard to focus and not feel bored in a college class. If you happen to find the class fascinating, that is awesome. But if you don’t, don’t freak out. 8.) If the weather is nice, sit under a tree in the Yard, pat yourself on the back for getting in, and picture yourself there. Seriously, just take some time off from running around, being super excited, and meeting new people. Sit down, and ABSORB. Watch current students walking around (I know that sounds creepy), and watch for how people get along. See a group of students laughing at some joke, or another group cramming for some midterm and try to picture yourself as one of them. These are the waffles they serve on Sunday morning brunches at Harvard, and they have the VE- RI- TAS emblem on them. How much more Harvard can you get? If you know that there is a group of people that you generally hang out with, look up that group and spend time with them. Whether you are really into religion or politics or science or cultural groups or Greek life or you want to check out what the big deal about Final Clubs is, find out what is going on on campus (there are ALWAYS things going on) and check it out. Your social life at Harvard (even if you’re not the type of person who likes to “go out”) will be an important part of your time at Harvard. You owe it to yourself to take a look.